Location, location, location! Trish and David had one of the coolest, most unique reception spaces that I have ever seen. 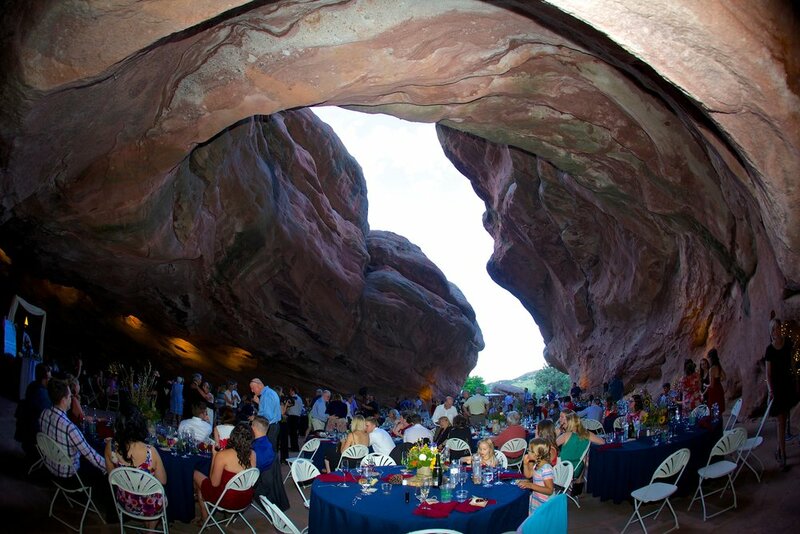 It is a “cave” of sorts called the Willowbrook Amphitheater in Morrison, CO. The wedding was a traditional Catholic ceremony at Christ on the Mountain Catholic Church in Lakewood, CO. The church sits on a hilltop over looking the frontrange. 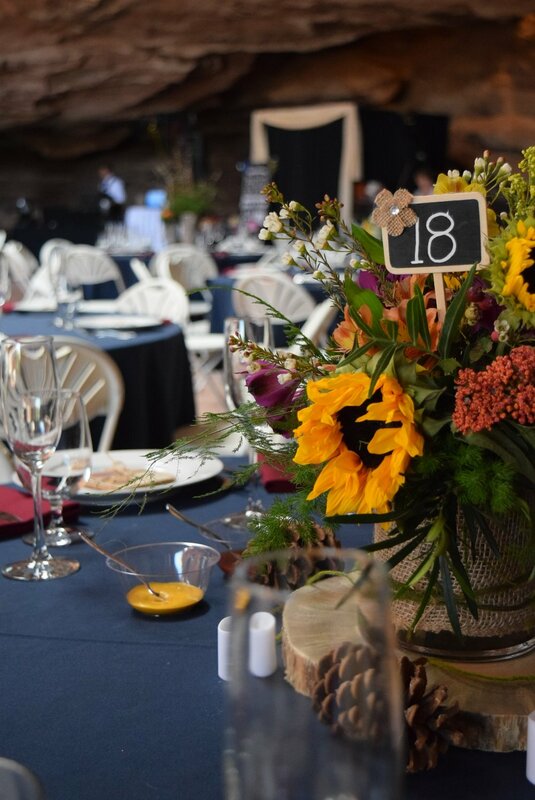 The bouquets and the centerpieces were created by a family friend and were colorful with a rustic wildflower whimsical flare. 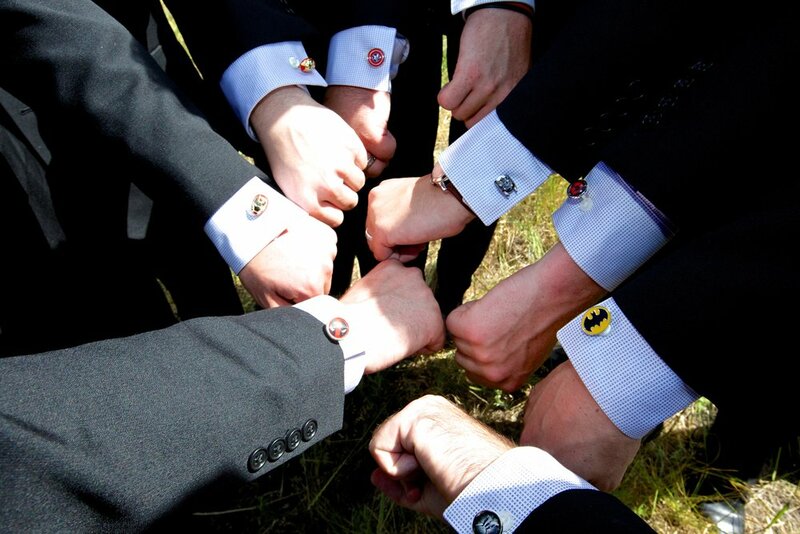 The couple are “nerds” at heart so they had subtle hints of Marvel and Star Wars references. There were DIY touches throughout the cave that really made for a personal, warm welcome for the guests. The cave is located in the neighborhood that Trish grew up in but it was a nice little walk up a hill so they rented golf carts for the bridal party and guests, offering them rides to and from their cars. It was a perfect sunny Colorado afternoon with a backdrop of red sandstone formations. 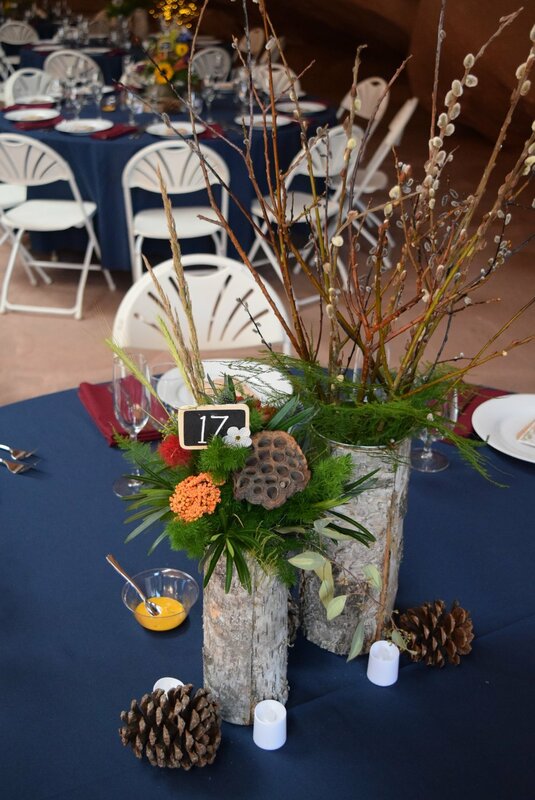 The centerpieces were bright and colorful with mixtures of wood elements. Trish and David hand tied over 200 favors for their guests with a Colorado cork coaster and seed packet keeping in theme with the natural vibe. Trish and David decided to serve a collection of desserts and have a small cutting cake. They ordered their cake topper online from Esty. The night ended with the grand exit and the couple road off to their happily ever after in a decorated golf cart. It was adorable. Special thanks to Moondance Photography.